Pristine and heavenly, the island nation has something for everyone. New Zealand beauty greets you with a fusion of spectacular natural features with amazing visual cues around every turn on a secluded beach; as the sun sets on the Alps; under the clearest of starry nights – so what better place to spend one of the most wonderful times of your life? From deep fjords to majestic glaciers, the variety of landscapes here never ceases to amaze. 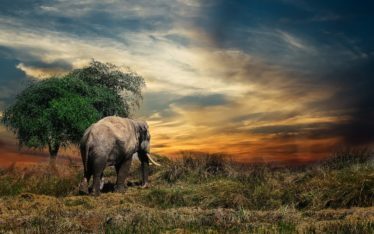 For rare and rewarding wildlife experiences, look no further; get up-close-and-personal with all sorts of native and exotic creatures. The country is the adventure capital of the world. Hiking, skydiving, caving, bungy jumping, skiing–everything here is geared towards getting you outside and doing something incredible. 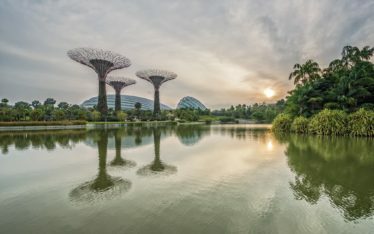 New Zealand’s beauty has captivated visitors throughout the centuries—and if you’re wondering what all the fuss is about, here are ten stunning places that continue to enthrall the masses. 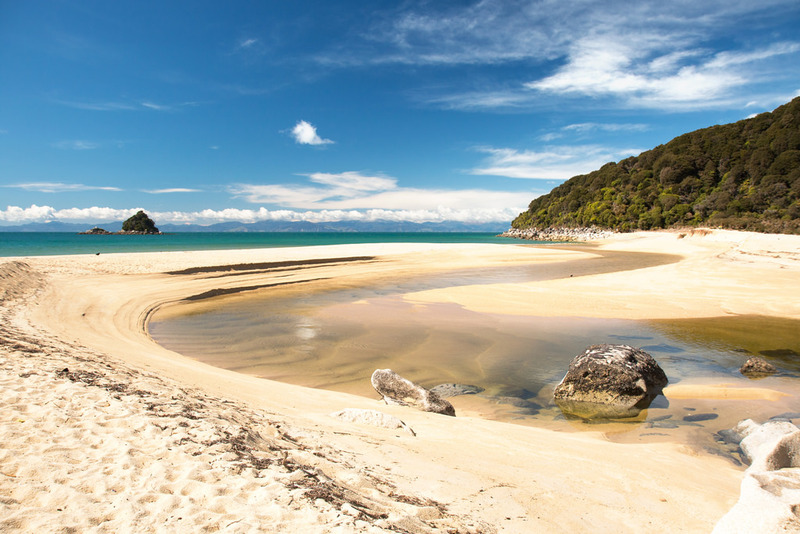 Placed at the top of the South Island between Kaiteriteri and Takaka, the Abel Tasman National Park features amazing golden sandy beaches, stunning granite, limestone and marble rocky outcrops and the rich, unmodified estuaries. Spectacular beaches are so golden and crystal clear streams tumble down through the valleys to meet the sea. The Park boasts the perfect outdoor environment for a selection of hiking, offering short walks, multi-day walks and some fantastic mountain biking opportunity. Canyoning is a totally unique and exciting way to see the Abel Tasman. The crystal-clear waters of Tonga Island Marine Reserve are the perfect place to swim, snorkel or kayak. The major attraction is the Abel Tasman Coast Track, which is 51 kilometres long and hugs the coast, offering spectacular views as you reach the top of a ridge. 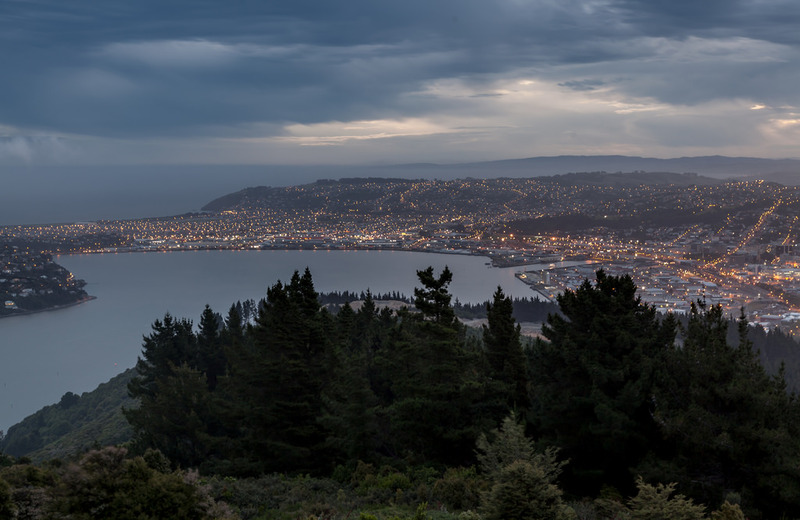 If you’re simply after the best views available of Dunedin and surrounds, then you need look no further than the impressive lookout point of Signal Hill, the views are spectacular! 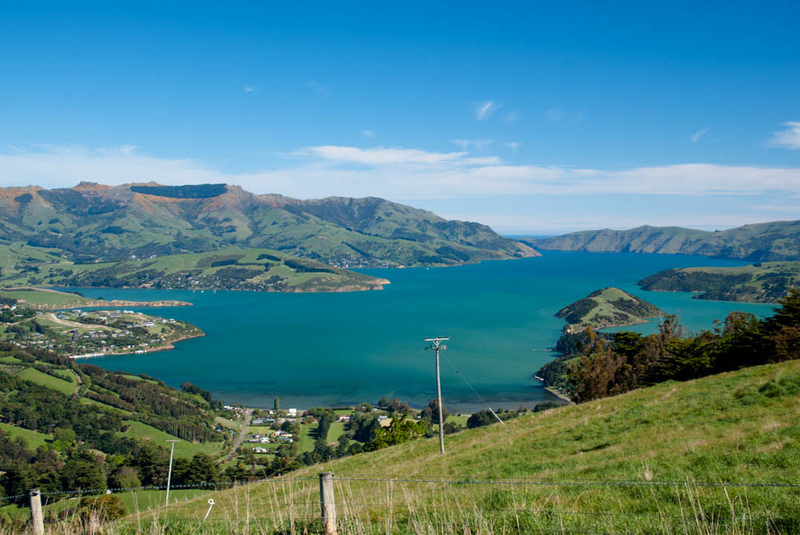 Boasting a genuine old-world feel, Dunedin treasures some of the most beautiful and distinctive Victorian and eclectic architecture, especially the Larnach Castle, New Zealand’s only castle. The Peninsula offers great golden beaches perfect for swimming and surfing with the rare spots to watch seals, sea lions and other water birds like Royal Albatross. Explore the sea-carved sandstone cliffs, rock arches and caves at Tunnel Beach. Enjoy an award winning, interactive Speight’s Brewery tour. Burn off any over indulgences by walking up Baldwin Street, recognised as the world’s steepest street or experience the beauty of the Taieri Gorge, one of the world’s great train trips. Cape Reinga is almost as far north as you can go in New Zealand. 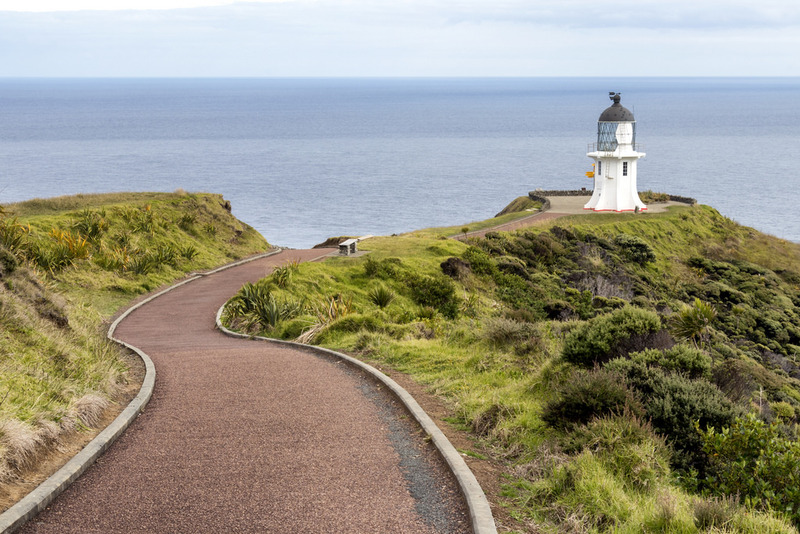 The tranquil atmosphere at Cape Reinga is also a cultural and spiritual landmark where you will observe the power of two great oceans meeting at the tip of the cape. Stand at the top of the cliffs by stunning Lighthouse and watch the swirling currents of the Tasman Sea and the Pacific Ocean. The journey past ancient kauri trees, sparkling seas, the sandy white beaches and dunes of 90 Mile Beach will be a huge part of the experience. Popular activities at Cape Reinga include guided tours, scenic flights, diving, snorkelling, fishing, hiking and bird watching. This small coastal town on the South Island is a haven for seafood lovers. Famed as one of New Zealand’s marine-life meccas, the kaikoura is about two and a half hours north of Christchurch. Hiking the amazing Kaikoura peninsula walkway is one of the most enjoyable and best ways to see the lovely place. 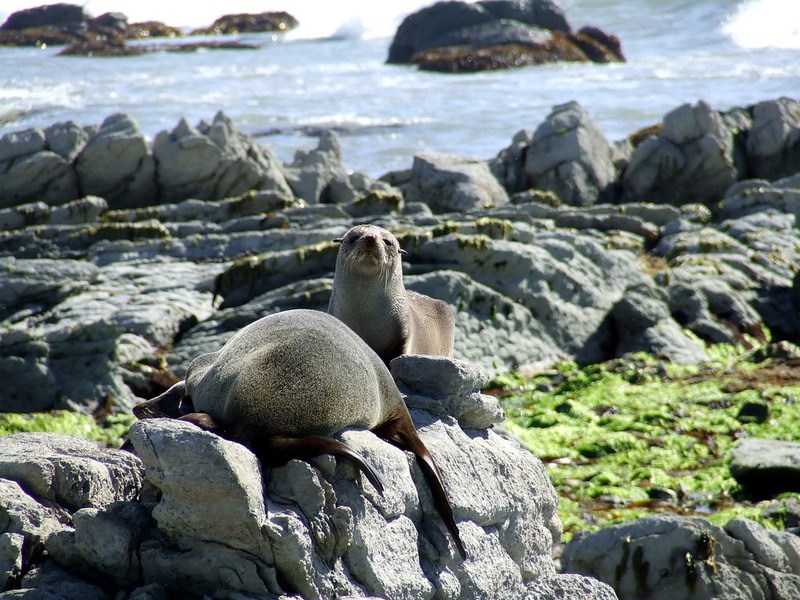 Seals literally take over Kaikoura! Kaikoura is home to giant Sperm Whales all year round. Swim with Dusky dolphins, renowned as the best dolphins in the world to swim with due to their playful and inquisitive nature! The town is on the east coast of the South Island so gets some of the best sunrise views in the country. Traverse to the coastline at dawn to watch some vibrant colours appear in the sky. The 1800s Fyffe House is a cottage built on a foundation of whalebones, with displays on the town’s whaling past. In town, the Kaikoura Museum and Archives has exhibits some rare photographs, marine fossils and Maori artifacts. On the way to the highest mountain of the New Zealand, you will pass by the incredibly blue glacial lakes Tekapo and Pukaki. 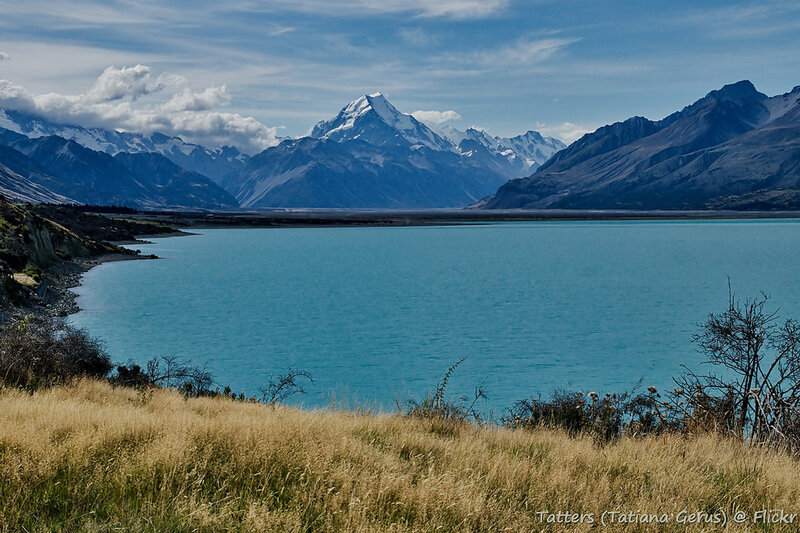 Nestled under the shadow of Aoraki/Mount Cook, is the ‘The Lord of the Rings’ location Lake Pukaki, which radiates with pure distinctive light, amazing turquoise hues, coupled by the sharp alpine landforms. The Mount Cook Village has a fairytale setting: a place surrounded by peaks, peppered with glaciers, and where snow doesn’t cease to fall. Take a scenic flight from Lake Tekapo or Glentanner Station for breathtaking views over the Southern Alps and countryside. Earth & Sky offers an amazing observatory tour on Mount Cook; expect an unforgettable evening spent discovering the southern sky, gazing into the cosmos through a powerful telescope. Funky little Napier, in the Hawke’s Bay region, is the Art Deco capital of the world. Not only is the city centre a treat with photo-worthy Art Deco architecture, but it is sure that one can’t resist the lure of Napier’s beaches, go fishing in Westshore, watch the sunset, cycle around the city on the Water Ride, or taste some famous Hawke’s Bay wine! The National Aquarium of New Zealand is home to the country’s most diverse range of sea life. Head to Ocean Spa on Marine Parade and soak in the open-air heated salt water pools with a view of Cape Kidnappers. Named “One of the 20 Most Surreal Places in the World”, the Wai-O-Tapu Thermal Wonderland is country’s most colourful and diverse geothermal area. 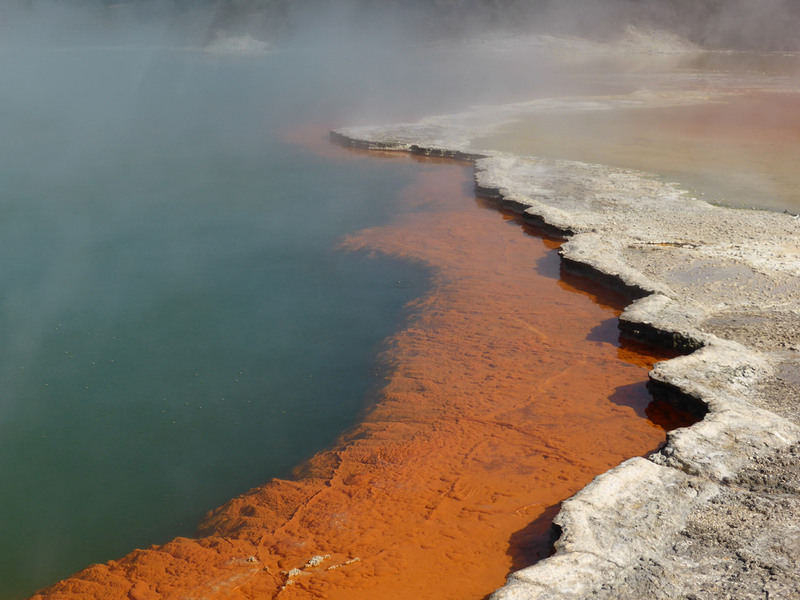 Just a short drive from either Rotorua or Taupo, it’s an area in which the landscape has been sculptured by geothermal activity and where unique volcanic features can be viewed from well defined tracks. The surreal beauty opens your mind and invigorates your senses to release your own inner harmony and sense of tranquillity. Enjoy viewing unique volcanic features as you walk at your own pace along well-defined tracks. The area provide a wide range of amazing photo opportunities at features including the world famous Champagne Pool, naturally coloured hot and cold springs, steaming ground, expansive vistas, huge volcanic craters and sinter terrace formations. 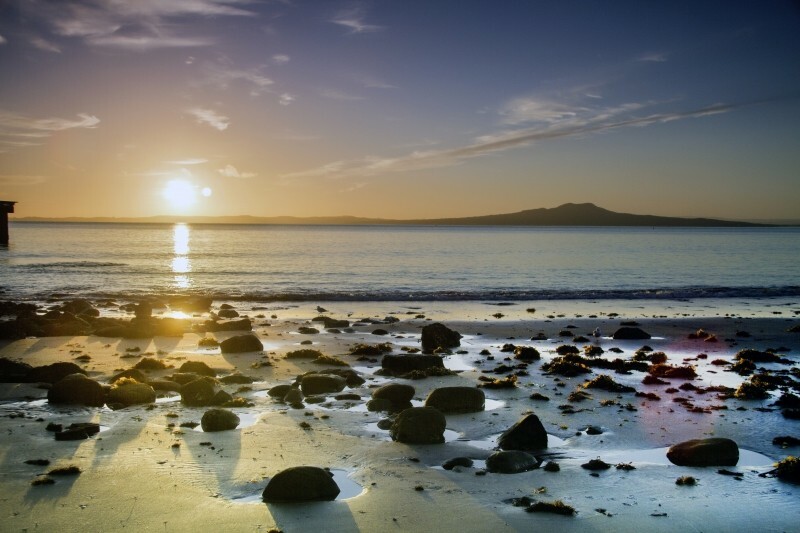 Located on New Zealand’s North Island, Auckland is a multicultural city that is surrounded by charming towns, rich fertile lands, rainforests, thermal springs and dormant volcano cones. The museums and art galleries here are some of the finest displays of Pacific Island and Maori artefacts. The rich, green Cornwall Park, with it glorious memorial dedicated to the Maori people on One Tree Hill, provides breathtaking views of the city. 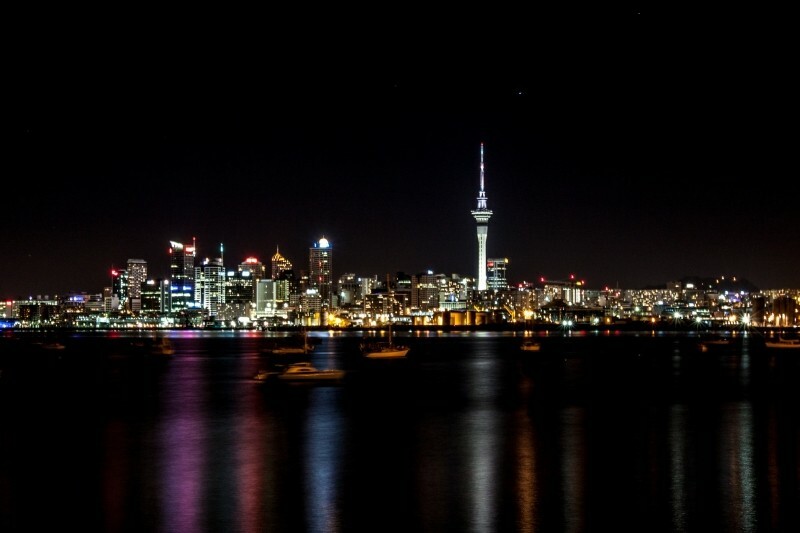 The tallest of its kind in the Southern Hemisphere, the Sky Tower attracts the adventurous bungy jumpers, fine diners, and anyone who is seeking a panoramic view of Auckland city. A 40-minute ferry trip from downtown takes visitors into the ever so popular Waiheke Island particularly renowned for its vineyards, as well as its wondrous natural landscapes. Beautiful beaches, pristine islands, energetic marine life, waterfalls, forests, history… The Bay of Islands is as dreamy as its name and then some. This gorgeous region is made up of 144 islands between Cape Brett and the Purerua Peninsula. 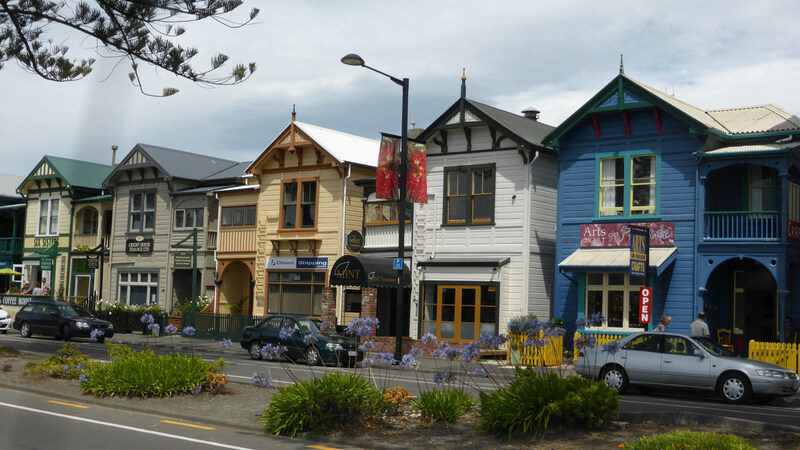 There are a number of settlements in or on the bay, but the best places to look for is definitely the historic Russell or unspoiled and beach-y Paihia. Go out on a cruise to check out the wildlife in dolphin swimming, snorkelling, scuba diving, kayaking and sailing. Inland are the towns of Kerikeri, Kawakawa, Kaikohe and Kaeo where there are heaps of natural features, historical sites and great foodie experiences to enjoy in New Zealand. There’s a reason it’s called the 8th wonder of the world. 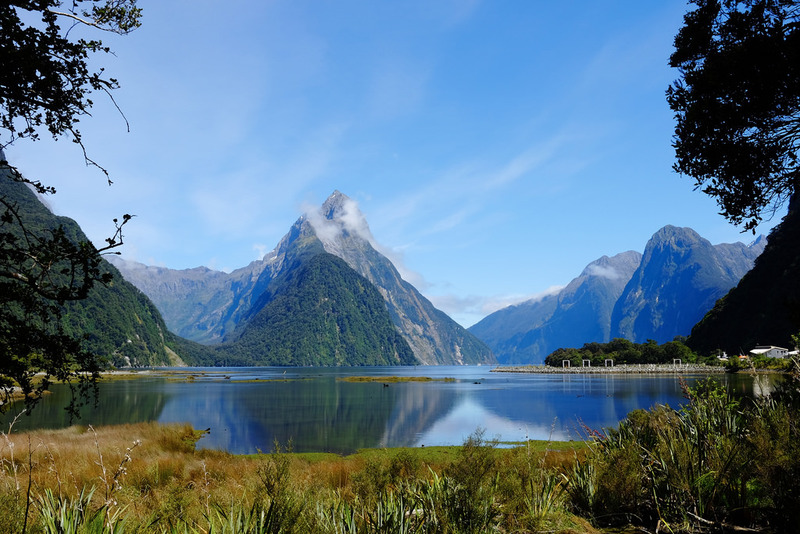 Breathtaking in any weather, Milford Sound is a dazzling fiord of unparalleled beauty – characterised by sheer cliffs, lush rainforest, rugged mountains, snow-capped peaks, cascading waterfalls, and amazing wildlife. Scenic roads, well-marked trails and peaceful cruises, combined with the pellucid waters and the temperate rainforests that cling desperately to steep mountains–make it a wonderful place to hike, bike, paddle, sail, fly or take photographs. Expect to see some exciting wildlife in action here, including keas (large species of parrot found in NZ), seals, penguins and dolphins. Boat cruises, during the day or overnight, are an excellent way to experience the Sound. Another special way to see Milford Sound is with a scenic flight. Imagine soaring above the mountain peaks, valleys full of native rainforest and beautiful waterways in a small plane or helicopter. To learn more about the local marine life, visit the underwater observatory at Harrison Cove and marvel at the rare black coral, 11-legged sea stars and delicate anemones. Adventure through thick untouched rainforest in the Tutoko Valley, hike in glacier-carved valleys and gape at the mountain-tops and waterfalls, watch the sunset in the Arthur Valley, dazzle by Sinbad Gully’s rare and unusual wildlife, gaze at the imposing and unmistakable Mitre Peak, or marvel at the majestic Stirling Falls…..chances are unlimited. 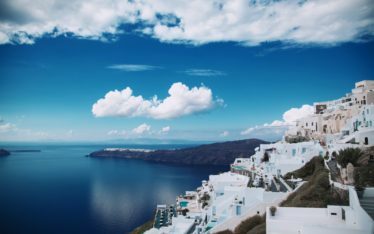 untravel is devoted to trips planned your way, and not fixed, restrictive itineraries made by someone else for you. untravel is about customizing every moment of each trip. Picking out experiences that excite you. Staying at places that are truly unique. And charting out every day, at your pace, on your terms.